Emissions from biomass generation using woody fuels are in many cases worse than those from fossil fuel generation, a new report from Chatham House has found. 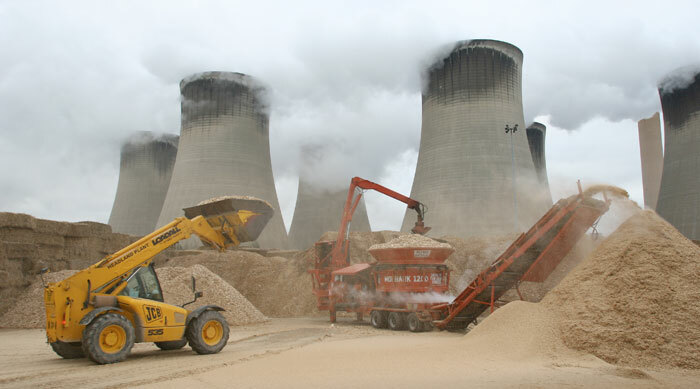 Biomass power should not be given the same support as other forms of renewable generation as the argument it is low-carbon is “not credible”, according to the think tank. “Overall, while some instances of biomass energy use may result in lower lifecycle emissions than fossil fuels, in most circumstances, comparing technologies of similar ages, the use of woody biomass for energy will release higher levels of emissions than coal and considerably higher levels than gas”, the report said. In nearly all of the countries the study examined, biomass generation is treated as a form of renewable energy, enabling it to benefit from “financial and regulatory support on the grounds that, like other renewables, it is a carbon-neutral energy source”. In the UK, for example, the Drax power station is subsidised through both the renewables obligation and contracts for difference mechanisms. Generating power using biomass harvested from whole trees will increase emissions “very substantially” in almost all circumstances, the report argued, “both because of the loss of future carbon sequestration from growing trees and because of the release of soil carbon”. Even if the forest is replanted, “emissions of soil carbon during harvesting may delay a forest’s return to its status as a carbon sink for 10 to 20 years”. Burning waste materials from wood industry activities has “lower impacts” but could still lead to an increase in emissions if they would have otherwise been used to produce wood based products such as fibreboard. The report called for changes in the forest carbon stock to be “fully accounted for” when calculating the impact of biomass on emissions. “It is not valid to claim that because trees absorb carbon as they grow, the emissions from burning them can be ignored.” Financial and regulatory support for biomass should be limited “those feedstocks that reduce carbon emissions over the short term”. Chatham House also cast doubt on claims biomass could be used to generate negative emissions in combination with carbon capture and storage (CCS). It said the “slow rate of deployment” for CCS and the “extremely large areas of land” required to provide the feedstock “render its future development at scale highly unlikely”. The Renewable Energy Association described Chatham House’s report finding as “extremely misleading”. She continued: “Biomass delivers a massive cut in carbon emissions compared to fossil fuels. That principle is at the heart of the industry. The whole supply chain is monitored in detail to ensure we cut greenhouse gas emissions by at least 60 per cent compared to fossil fuels, although the reality is often closer to 80 per cent.